_BRS_ had the most liked content! Haha i know eh, will aim for that, again. You won't be disappointed! 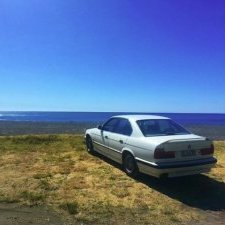 I guess it is just a junk yard motor, out of an automatic e39 with 160km on it, was driven into the yard from Tauranga to Hamilton by Kerry at Mosen Euro Parts. Its all stock, only maintenance was a couple of gaskets, O rings and the water pump. Cheers Jon, always looking for something new and different, the exploded view was shot using a drone. Welcome! I'm another local, hopefully over summer there will be a bit of a catchup and cruise somewhere, usually with the likes of the guys from iDrive! Don't have a photo of it sorry, but far enough away to still run the heater hoses and access them easily and also didn't want to bash up the tunnel for the gearbox. Cheers Andy, slowly getting there, Good to know about the bolts and washers also. Oh yeah, it runs! Thanks to Will for his time and knowledge at the start and also massive thanks to Troy for finishing off the rest of the wiring recently. Turn your volume up or use headphones for the full effect! IMG_2648.MP4 IMG_3035.MOV Current State: Home time! And time for me to get stuck into a list of small things to be complete before certification and hopefully a full panel and paint this year too. Lastly a huge thanks to Kerry and his team at Mosen Euro Parts in Hamilton, can't thank that man enough for his countless hours and knowledge to help me get to where the car is today. With the previous headers from Ergen Motorsport in the UK not fitting as planned after we changed the mounting configuration, they were onsold and a full set of custom stainless headers and exhaust was completed by Gaz from LDS Fabrication, i went with a 2.5" system with 2 Borla buffers which have the crossovers inside of them, it is a little loud so will see if i have to quieten it down for cert closer to the time. 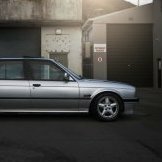 To keep things cool I'm running the Mishimoto e36 Aluminium radiator, cheers to Neil from 41 Automotive for sourcing this for me. I just couldnt resist a quick bolt up to see what the finished product will look like! The small details, like notching the strut tower support for the stainless line from the coolant expansion tank adds to the overall tidiness of the install and Kerrys attention to detail. Time to throw some colour at the bay! Scott from Scooters Customs in Hamilton did an amazing job, the photos speak for themselves!